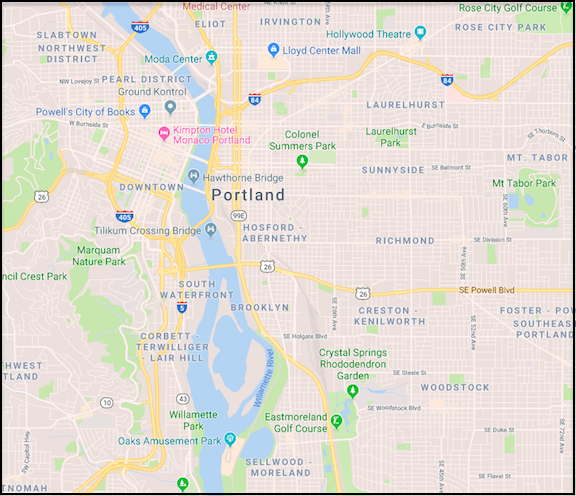 This page features a free printable Map Of Oregon Portland, a state map of Oregon, and a list of Oregon counties. 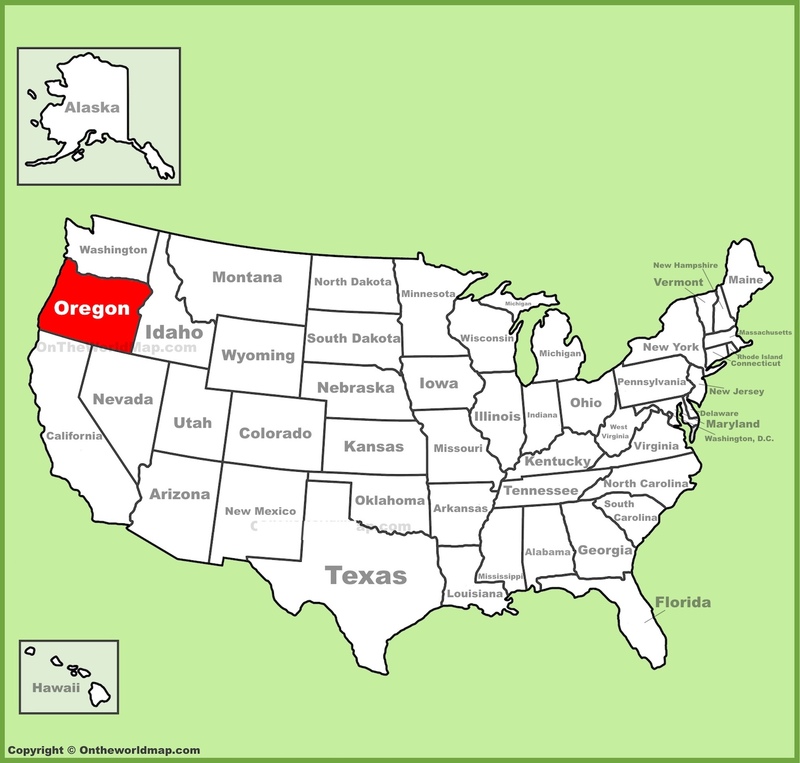 The above US map shows the location of the state of Oregon in relation to other US states. On February 14th of 1859, Oregon became the 33rd of 50 states admitted to the Union. Scroll down to find fascinating facts about the state of Oregon, and a detail map of Oregon Portland. The state of Oregon has more ghost towns than any other US state. More than 80 Oregon ghost towns are listed on the National Register of Historic Places. Crater Lake, know for its crystal blue waters, is the deepest lake in America, reaching a depth of 1,949 feet. Portland is home to more than 60 breweries, which is more breweries than any other city in the world. In 1994, Oregon became the first state to legalize physician-assisted suicide. Oregon residents own 25% of all llamas in America. The world's largest cheese factory is a popular tourist attraction in Tillamook. Oregon is the only state with an official state nut - the hazelnut, also known as a filbert. An astounding 99% of America's commercially sold filbert nuts come from Oregon. Native American tribes from Oregon include the Alsea, the Coos, the Klamath, the Modoc, the Molalla, the Nez Perce, the Northern Paiute, the Shasta, and quite a few others. The Oregon coastline is dotted with nine light houses. Tourists often embark on self guided Oregon light house tours. 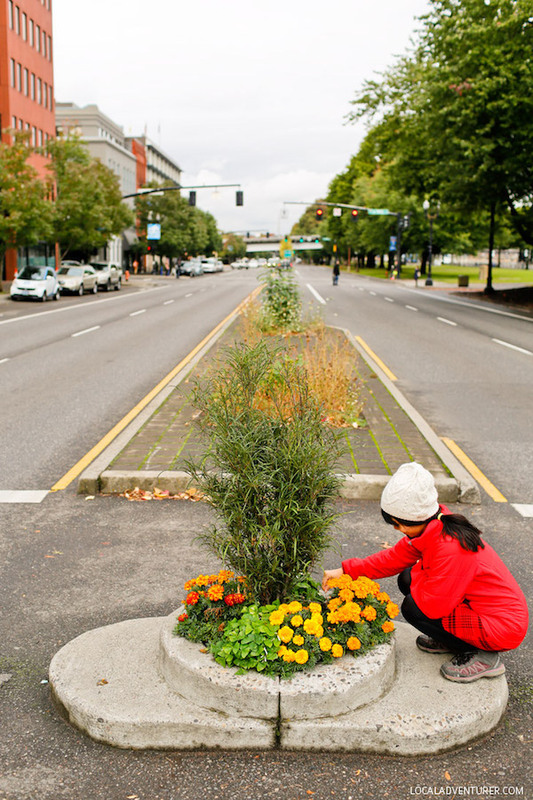 Oregon is home to the world's smallest park. Mill Ends Park in Portland is just two feet in diameter. The park is frequently adorned with a tiny tree or blooming flowers. Above: A google map of downtown Portland. 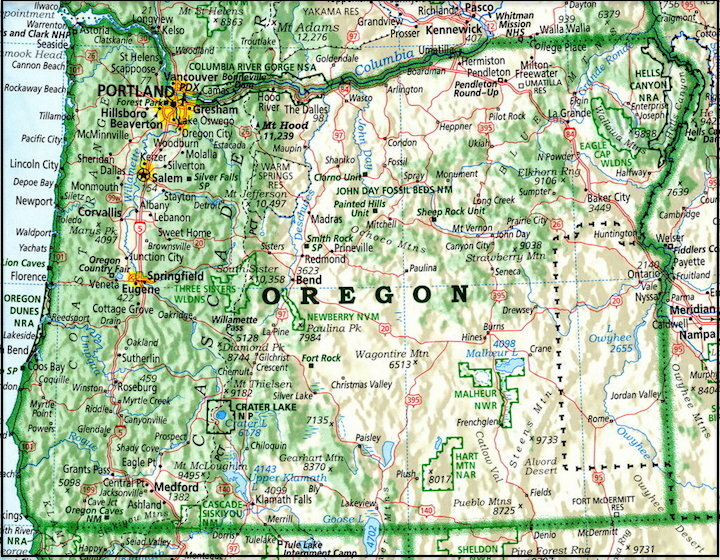 Above: A Map of Oregon showing cities, major roadways, and topographical land features.